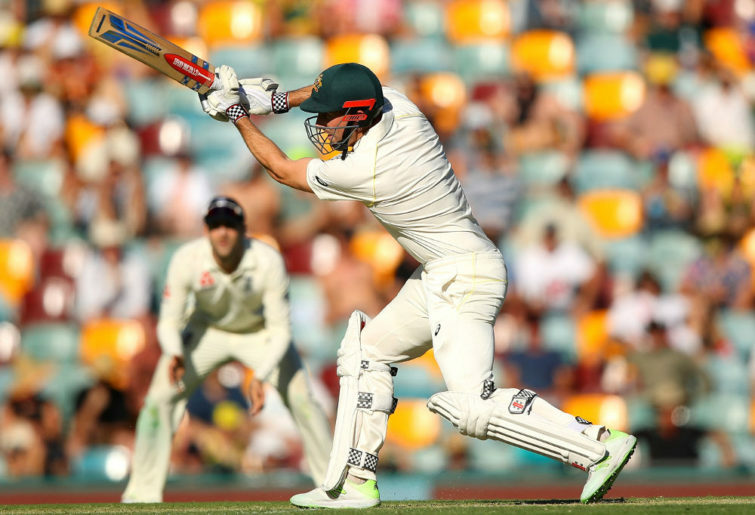 The baggy green Shaun Marsh wears concrete boots, cemented to the crease with restricted strokeplay, giving the distinct impression that responsibility is weighing him down. But the yellow-kitted Marsh wears dancing shoes, keen to attack with positive and aggressive strokeplay, thoroughly enjoying himself at the crease as a senior batsman. The runs and balls faced stats show roughly the same number of runs, but the ODI runs have been posted in over 2000 fewer balls faced. And the strike rate comparisons are vastly different as a result. It’s all down to attitude – same batsman, different mindset. In his last eight Test digs, Marsh has scored only 187 runs, with a top score of 60. Average 23.37. In his last eight ODIs, Marsh has scored four centuries, and a 54, in posting 577 runs. Average 72.13. But there’s no justice in those four tons resulting in four Australian losses. And last night’s 131 off 123 – with 11 fours and three sixes – against India at Adelaide, couldn’t stop India winning by six wickets with four balls to spare either. It was a phenomenal performance by Marsh, who was red-faced after batting in 40 degree-plus heat, but sticking stoically to the task. To rub further salt into the wounds, Marsh top-scored, but Indian captain Virat Kohli took out the man-of-the-match award with 104 off 112 with just five fours and two sixes. They were the two launching pads in a cracking ODI that had everyone on the edge of their seats. With Australia batting first, Marsh had what looked like a match-winning partnership with Glenn Maxwell that realised 94 off 65, as Australia cruised towards a 310-320 total. But both were dismissed within two balls of each other to be 6-283 and 7-283, and the tail collapsed for Australia to lose four wickets for 16 off 10 balls, finishing on 9-298. That collapse cost Australia the game. It’s 1-1 heading for the MCG on Friday for the decider, with an ominous sign that Kohli’s hungry, and now Indian legend MS Dhoni has played a second ODI on the trot after not picking up a bat since November. Dhoni finished unbeaten on 55 off 54 with no fours but two huge sixes, having enjoyed an 82-run stand with his skipper, and an unfinished 57 partnership with Dinesh Karthik to seal the win. Finch apart, who can’t buy a decent score, the other four all got started but couldn’t crack 30. What’s more, veteran paceman Peter Siddle was out for a golden duck last night, and took 0-58 off eight. He must be replaced. No doubt Finch will remain skipper, but there has to be serious consideration to dropping him well down the order to seven, as Australia has been struggling from the start with both openers out early. And they can’t keep relying on Shaun Marsh to do all the hard yakka with so little support.